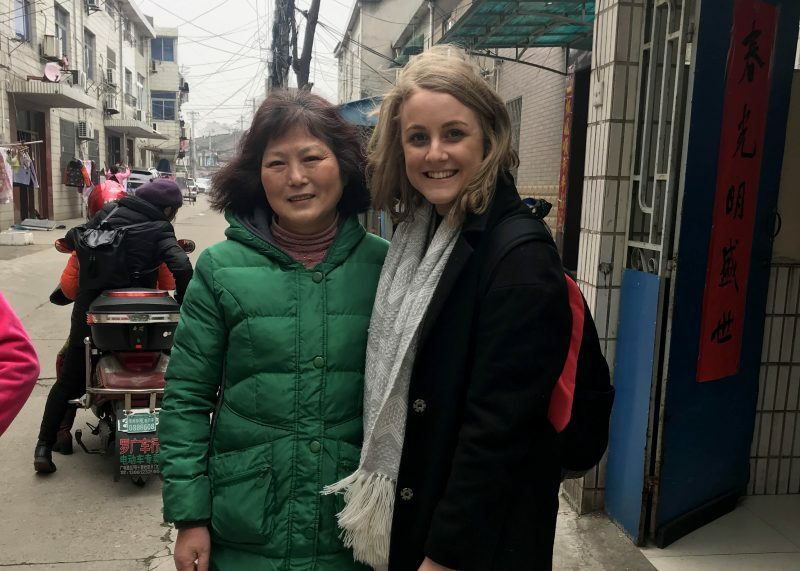 Had an amazing morning today, celebrating International Women’s Day with a group of amazing women, who we met as part of our research for Tian Fu. This group was made up of the LOSC families who Tian Fu have supported and helped support through the hard times they’ve faced since the loss if their only child. 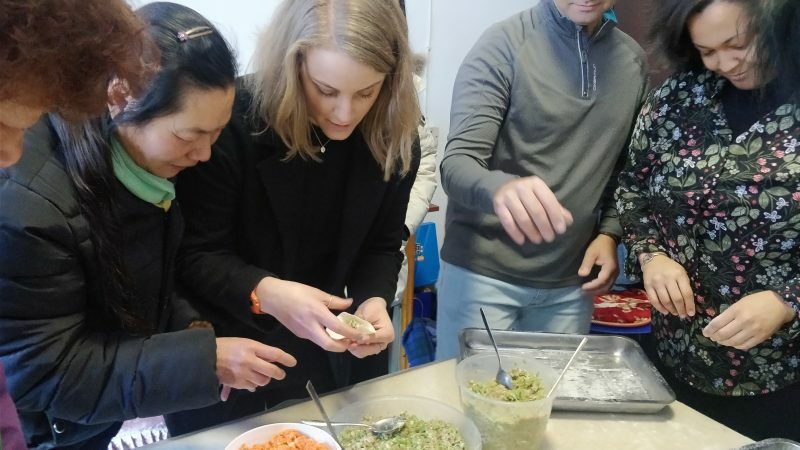 We were encouraged to try a load of snacks and nuts whilst we were introduced and made small talk with the group – when I mean small talk, I literally mean like little bits of talking with some translations and me reaaaaallly trying to pronounce the words “small nuts”, and “very good” in Chinese. What I loved about the situation is that laughter translates across all languages; we were constantly laughing about our inability to speak properly to each other. We later cooked and ate the dumplings, with vinegar (which is a Chinese fave), and I had soy sauce. Our project assistant Lee actually had never tried dumplings with soy sauce before!! 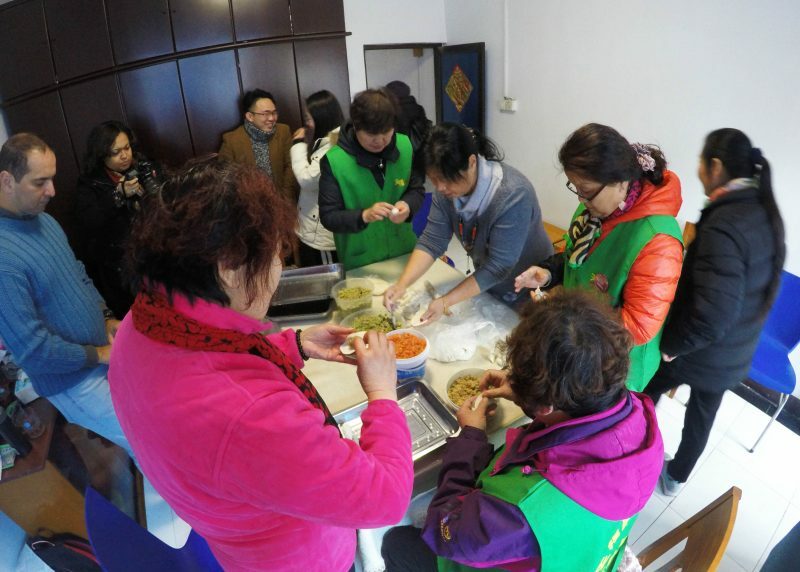 After we ate, we spent some time talking with all the women about their experiences with Tian Fu – it was so fascinating to hear how the organisation has helped them feel so much better about being on their own. They have built their own family, and on days like today they can come together and enjoy each others company. Such an amazing few hours with a great group of women – Happy International Women’s day!